It's the 20th Anniversary of the Enduro website - 1999 - 2019. 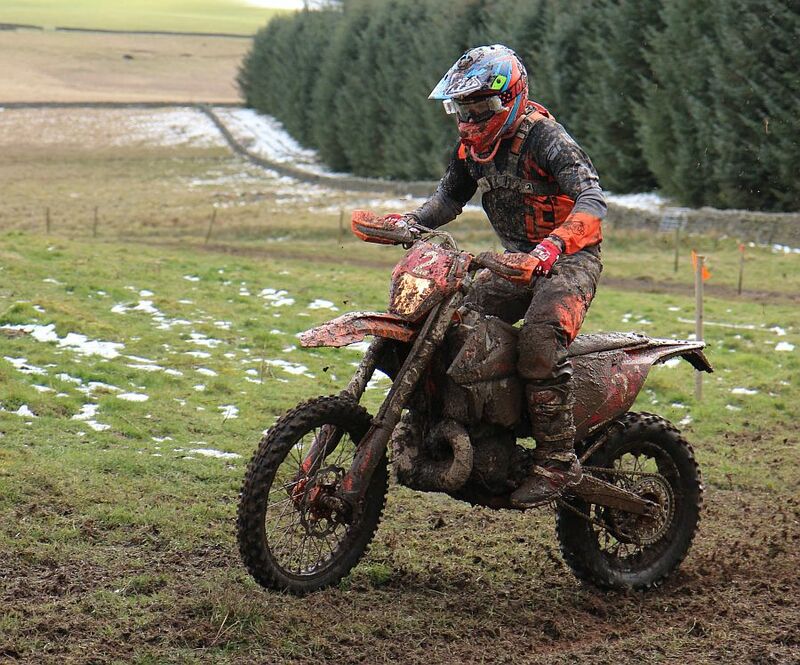 Welcome to Scottish Enduros 2019. This site was set up in 1999 as an introduction to the sport. It now contains information on events, results who to contact and profiles of some of the top Scottish Riders. The big event each year is the ISDE (in Portugal in 2019) and there will be several training and fund raising days over the season. Please note that there is no right of access to Scottish forests for trail riding and that unauthorised use may endanger our sport. Ensure you have permission to ride before you go. For a good summary of rights in Scotland see John Rushworths 1999 article stored on this site ( this was pre Land Reform Act so is only a guide ) - click here. Reminder to all competitors throughout the season - all clubs have noise meters and will be testing . So keep it quiet . Beginners start here - Beginners Technique . 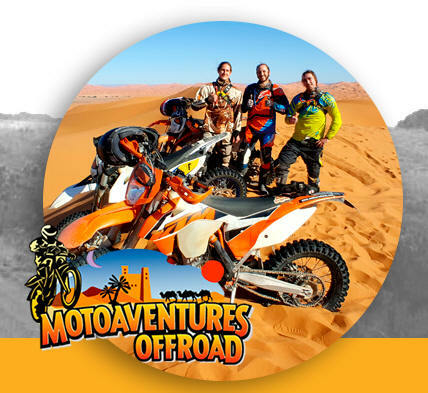 Want to get into Desert Racing have a look at some previous riders advice. Expert 01 ->39 Over 40 40 ->99 Clubman 100->199 | Over 50 200 - 230 & 631 - 660|Club B 231 - 299 & 661 -700 Sportsmen 300 -> �. Please note the minimum age entering Enduro is 16. For entering Hare and Hounds it is 15 for entry in the adult class if you have previous competition experience (eg MX) . The minimum age for entry in Youth events is 8. PLEASE NOTE The Elrat and SBEC online membership forms are now back online. Cancelled event. Please note the ELRAT Glen Devon Enduro on 9th June will not be run this year due to lack of time to prepare the course. We are looking at ground for 2020 - any ideas please drop me a note. 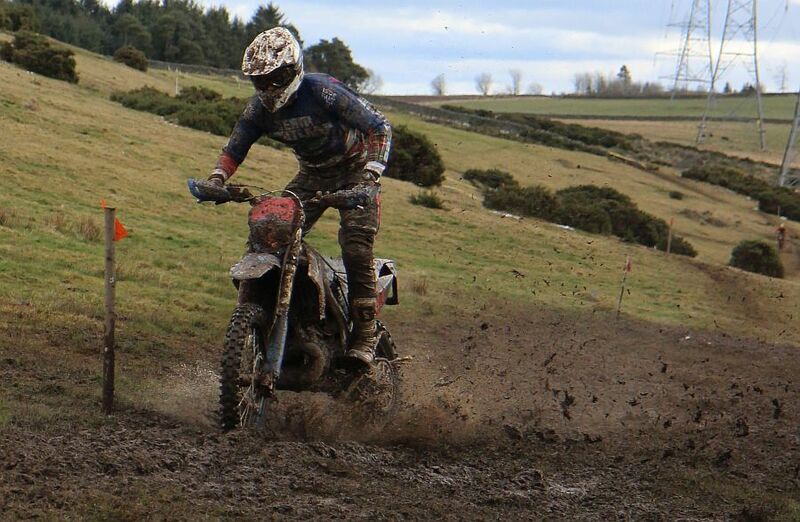 2nd and 3rd Rounds of the SACU Enduro Championship at Lossiemouth Forest. Frazer Norrie takes the win on both days with Andrew Bisset just behind in second and Fergus Lamb in 3rd. Always a testing course and 5 hours in the saddle each day. Thanks to Elgin Club for another great event with a good turnout of riders. And thanks to the Forestry for the use of the land. Best wishes to Andrew Maben who was taken ill the night before the event - best wishes for a speedy recovery. Saturday Results here Ver 2. Thanks to the riders for pointing out the missing time penalties. Sunday Results here Ver 2. It was a great start to the season and was greeted with sunshine and a dry course - unlike the first round of the Enduro Champ. Hope fully this will be the same for the next rounds. Won By Fraser Flockhart ahead of Andrew Bisset and Fergus Lamb - great to see out top riders getting out and fighting for the title. 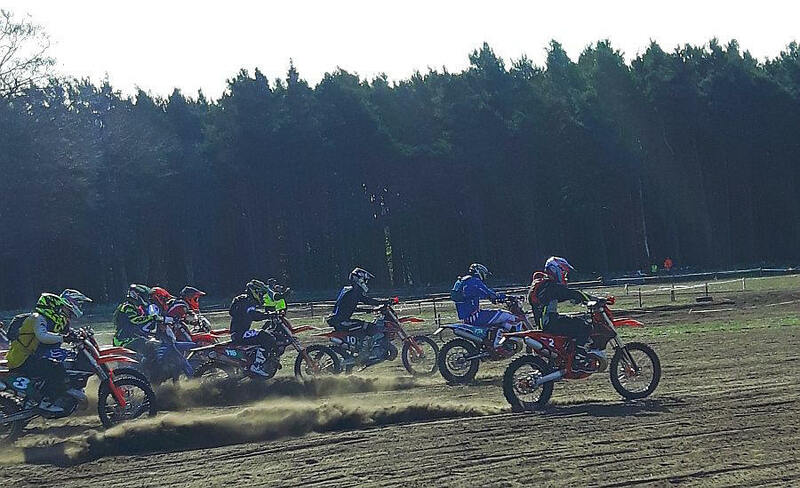 New rounds added for the SACU Enduro Championship for 2019. 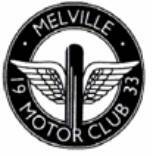 Melville MC have managed to get permission from the landowner to add their Heriot event to the Enduro calendar. The new dates will be 27th and 28th of July. The Enduro committee have approved the dates and also added on an extra dropped round in case some riders can't make it. 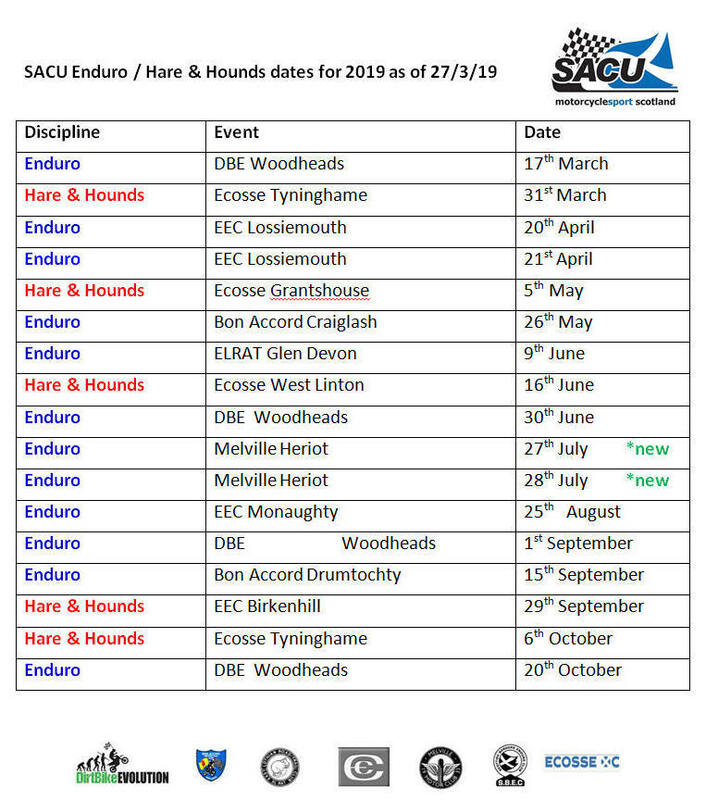 For 2019 there will also be a Youth Hare and Hounds Championship over 5 rounds - Ecosse XC + EEC Birkenhill. 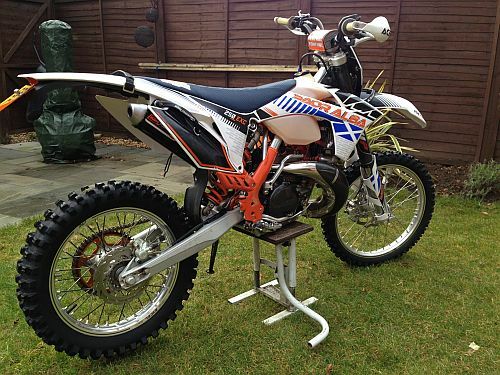 Selling my 2012 KTM250exc due to lack of use, bike hasn�t turned a wheel for over two years. 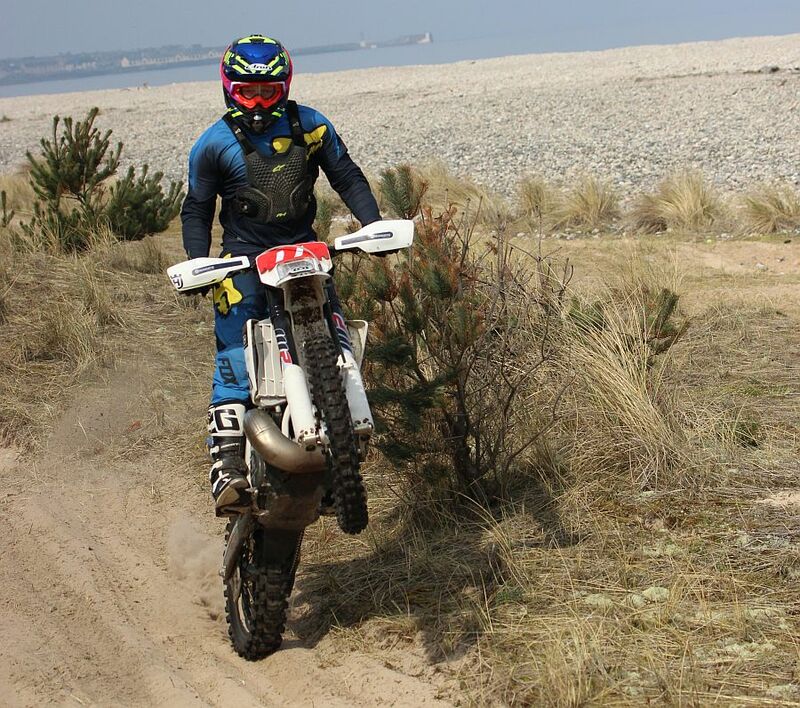 I have owned this bike from new, it has never been raced and only used for green-laning/Sunday ride outs. �3000 - Phone 07710 422270. 1) Join a club. You need to be a club member to get a licence. 2) Get a licence application form from your club secretary and send in with a photo and fee to get a full licence valid from 1st Jan.
English Riders - all very welcome. All you need is your ACU race licence. Join an English club and get an ACU race licence. Accepted at all Scottish races . You do not need to get a Scottish licence to race in Scotland. The following clubs have their 2019 membership forms ready to go. Sportsman George McBeth 2nd Liam Crisp 3rd Matty Cameron All promoted to Clubman B Class. Advice for securing bikes - chain them to the floor or a wall in a garage or secure shed. Remove wheel spindles so the bike can't be pushed away. If in an outside shed use a baby monitor so you can hear if anyone is in the shed. Alarm your bike store. Keep helmets separate so they cant use them to ride away. Avoid having bike specific stickers on your vehicle if it is parked at your house. When selling a bike - before you show the buyer the bike photograph them and their vehicle. Take a photo of their driving licence. Remove a wheel spindle and disconnect the spark plug before they arrive. Do not give any documents until cheque or cash is paid into bank. If the buyer objects - say goodbye. If possible ask your local police station if you could sell the bike at their premises - crooks will not want to be at a Police Station. At events - Safety advice. Check your vehicles for trackers before you leave. Watch out for any vehicles following you. At events photograph any suspicious people or vehicle taking an interest in bikes. Helmets will only pass scrutinering for racing if they carry an ACU gold or silver sticker attached. All helmets sold as suitable for "ACU competition" will have the stamp affixed by the dealer. If your helmet does not have an ACU sticker attached contact the dealer to ask for the sticker. Helmets can be assessed by the ACU or SACU by posting in the helmet and paying a �15 certification fee - which includes return postage. Helmet or body mounted cameras are prohibited. Cameras may be mounted on the motorcycle. 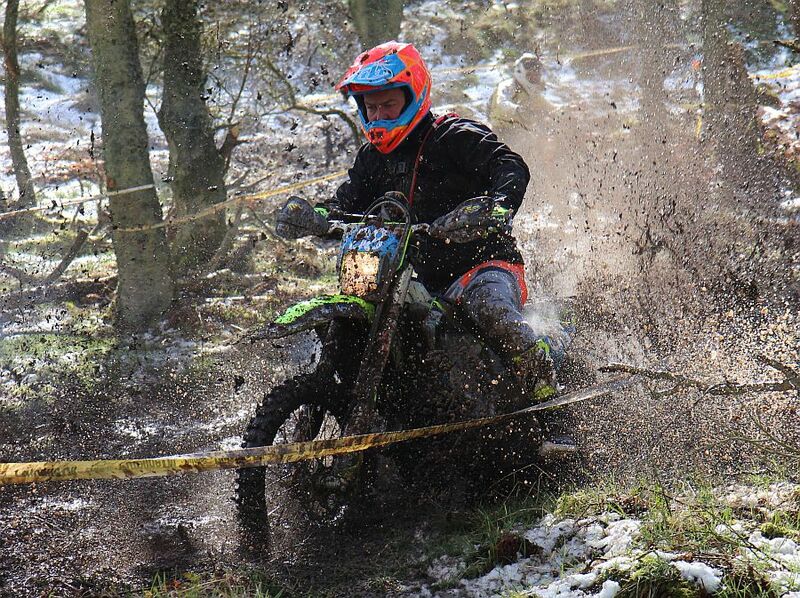 If you want more riding - the North East of England Championship rounds are well worth doing . Enduro and XC. See http://www.enduro-neec.org.uk/ for more info and a calendar. If you find the sport is interesting and would like to ride or assist then contact a club as we are keen to attract new members to the sport. There is an over 40's class and a Ladies award, so everyone can get out and ride. 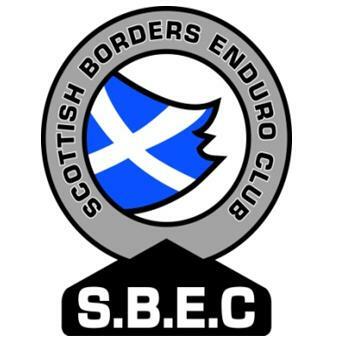 Enduros in Scotland are organised from March to October with events from the Borders to Inverness . 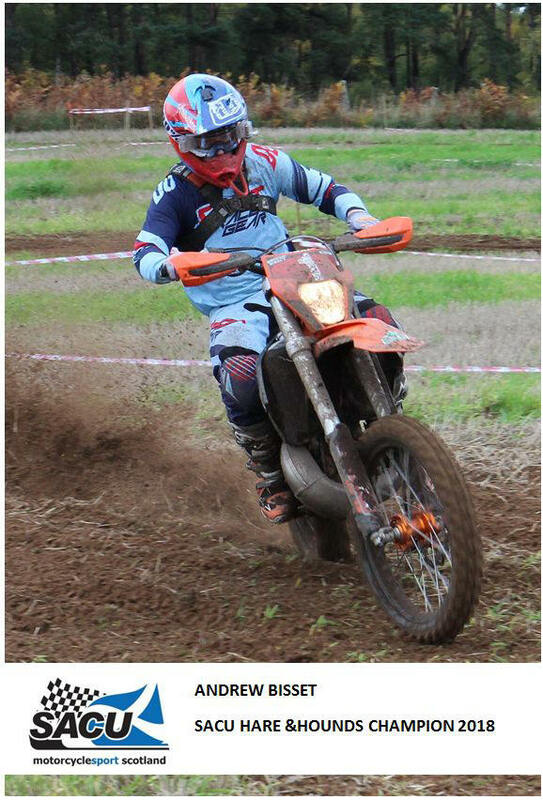 All classes of rider are catered for with Expert, Clubman, Sportsman and over 40's classes. To compete you need to be a member of a club and either hold an SACU or ACU licence - or can get a one day licence at the event. You need to send in an entry form prior to the event, entries are available on this site or from the host club. Events are published in Trials & Motocross News. If you check the Calendar on this site the dates and venues of events and training days are listed. The Contacts page has the addresses of the organising clubs. 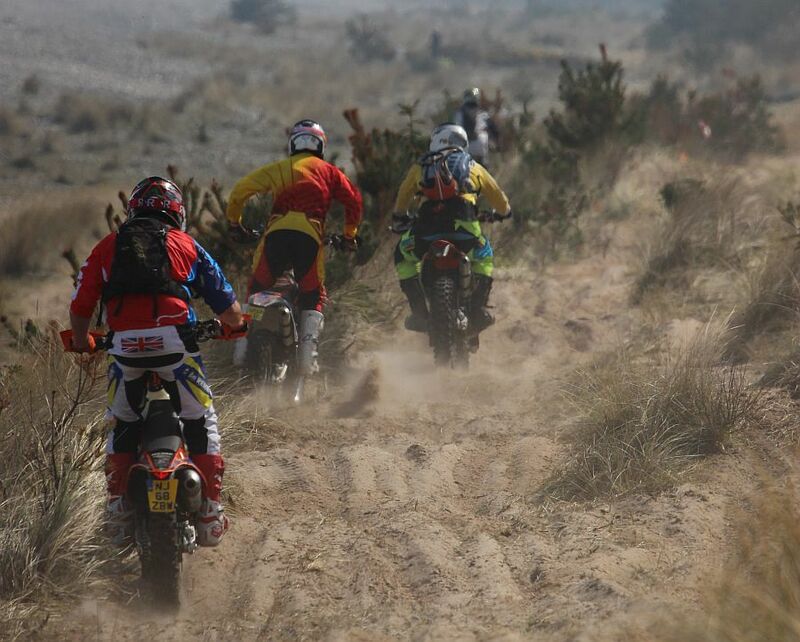 The aim of Enduro Competition is to complete the course via several checkpoints in a set time. You may not check in early or late without penalty. Generally the top riders go "clean" and the event is then decided on the result of special test times. There will be one or two tests per lap of a moto-X or cross-country type. For the slower riders there is up to a one hour allowance over the set time for the course to achieve a finish. Enduros are exactly what they say and even to finish is an achievement. So go on - try an event and get out on the hills. There is no other sport like it. Please look round this site and if you need further information contact the relevant club or e-mail webmaster @ scottishenduros . co .uk . 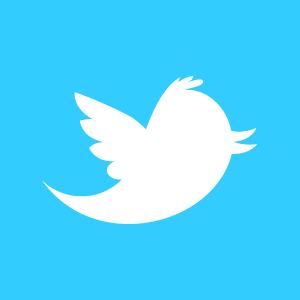 The views expressed on this site are those of the webmaster unless stated otherwise. Information posted on this site is posted in good faith but the webmaster cannot be held responsible for inaccurate content supplied. 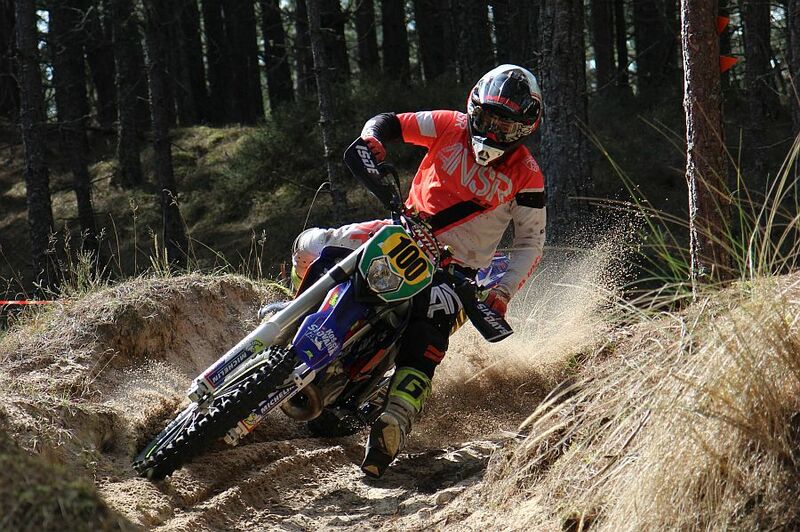 All content is copyright (c) Scottish Enduros. Please contact the webmaster if you wish to reproduce the content.